When deciding on which manufacturer to choose, beyond any doubt COHERENCE should be the decisive factor. Satisfied with the products we manufacture, our clients stay attached to our brand. Through hard work and dedication we have earned a reputation of a reliable manufacturer who offers excellent and consistent quality combined with exquisite style, that in not only pleasing to an eye in itself, but also harmonise with its surroundings. 2. The wooden wall panels beautifully decorate the residence hall. 3. 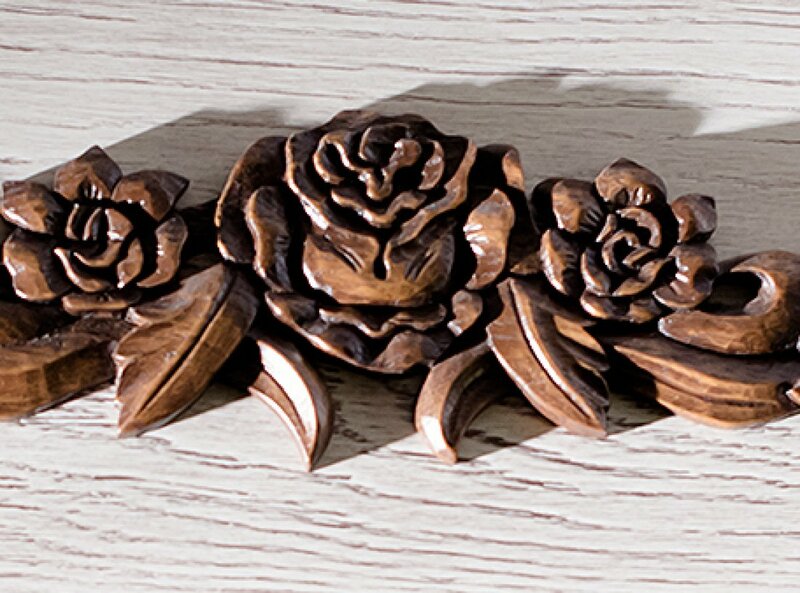 Close-up of the hand-carved oak stairs railing in a manor house. 4. Oak stairs railing referring to the structure of the very oak. Intricate manual work. Hunting residence. 5. The artistic intention behind this stairs railing was to blend seamlessly the nature and shape of oak with spectacular finishings. 6. The crowning of the stair railing is made of a single oak trunk. 7. Exclusive stairs of the Palace of the Archbishop in Lviv. Reconstruction based on the old photographs from the early twentieth century. Staircase railings made of alder wood, resulting in unique smoothness of the surface. Steps and rails made of oak. 8. 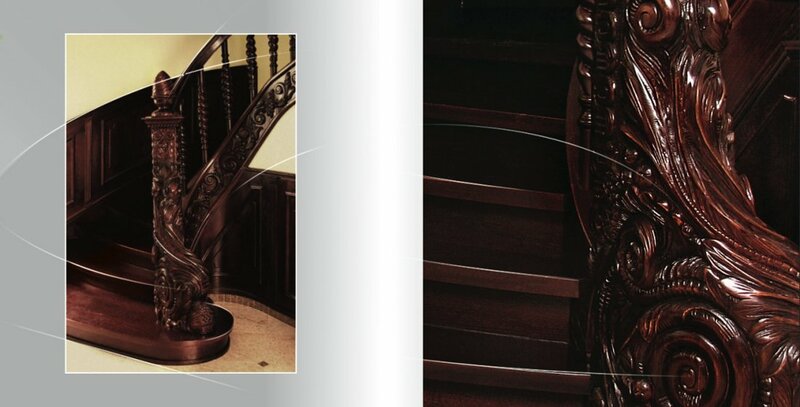 Richly carved wooden elements of oaken stairs in a classic townhouse. 10. Oaken wardrobe with hand-carved flower motif. 11. Sauna made entirely at the Dubiński Joinery Studio. 12. Wooden wall panels and perfectly refined heater covers matching the style of alder internal doors. 13. Full heater cover made of wood. 15. Fitted bathroom furniture made of alder wood. 16. Furniture inside a suburban residence. Library of oak wood. Chests in white. 17. Modern oaken staircase with a glass railing. 18. Custom made wooden cabinets in a dressing room. 19. Library cabinets and modern arch stairs made of oak.